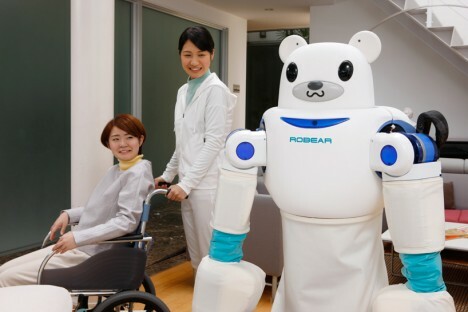 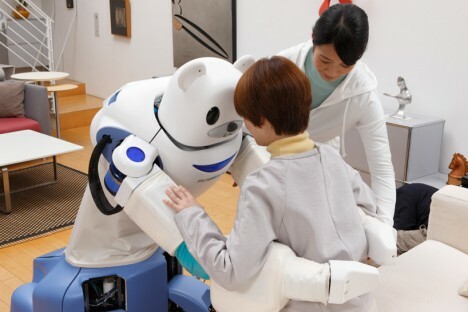 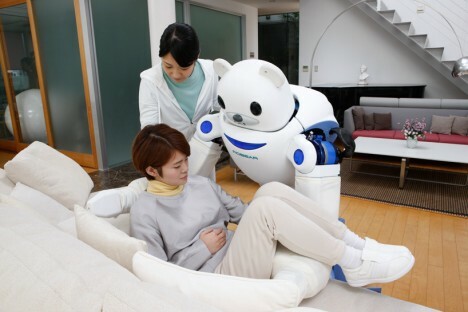 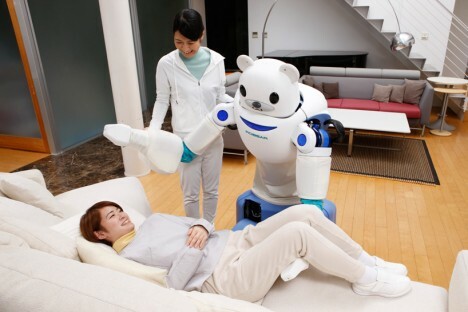 A gentle giant with an almost disturbingly friendly face, this robotic bear (Robear) is designed to supplement nursing care, helping caregivers with tasks that require a balance of strength and delicacy like lifting patients. 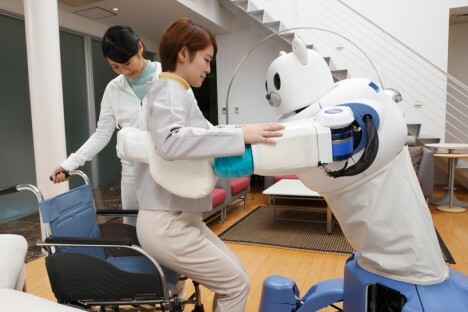 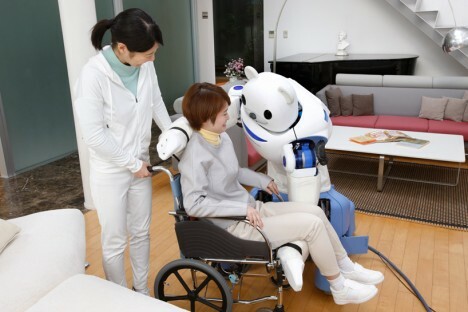 Developed by scientists at RIKEN and sumitomo riko company limited, this robot can carry people, help them stand and assist with other basic tasks. 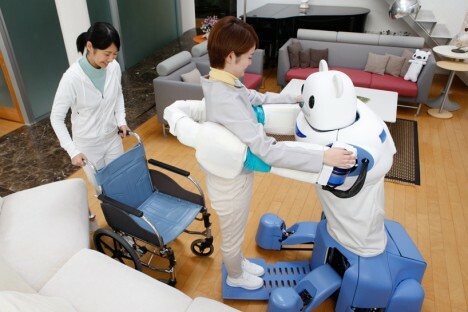 Weighing in at 300 pounds it may sound heavy but is actually close to twice as light as its predecessors and competition. 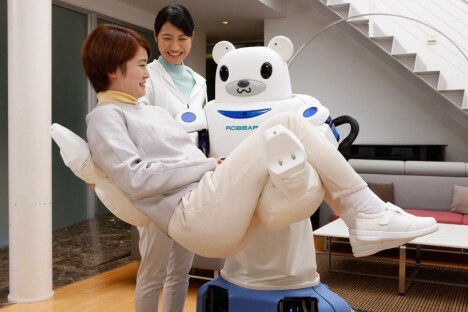 Powerful but gentle, the Robear sprouts out of a small base that makes it easy to maneuver through doorways and otherwise cramped spaces – its extendable legs get it a variable height for more versatile needs and allow it to distribute its weight more safely as well.